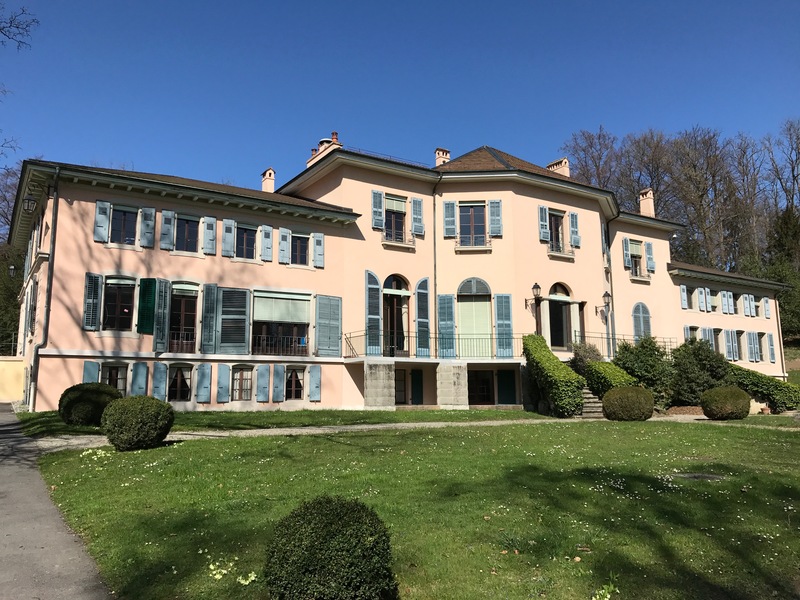 The 71st World Health Assembly (WHA) took place in Geneva, Switzerland, 21-26 May 2018. This decision-making body of the World Health Organization (WHO) determines the policies of WHO and approves the programme budget, and brings together Ministers of Health and country delegations from across the world as well as global health stakeholders. The SUN Nutrition Hub provided a space for SUN Country representatives and diverse stakeholders to come together to discuss critical nutrition issues and to facilitate mutual learning for increased impact at country level. As such we want to shape the program of the Nutrition Hub so that it highlights themes that are important for SUN countries and ensure that Nutrition Hub events showcase SUN country progress and feature speakers and participants from SUN countries. 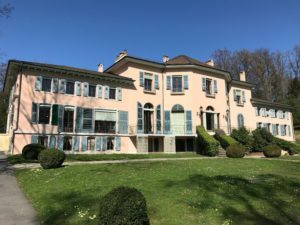 The SUN Nutrition Hub run from 21 to 25 May 2018 – in the margins of the 71st World Health Assembly – in Villa le Bocage at the Palais des Nations. • Showcase the SUN Movement approach and progress in SUN Countries. • Host dialogues on key nutrition issues for diverse stakeholders. • Take stock of progress towards global nutrition targets, focusing on SUN Country experiences & priorities. • Facilitate the sharing of innovation, good practices and mutual learning. • Side-events open to the public and web streamed live. • Closed-door dialogue sessions tackling challenging topics. • Regional dialogues for SUN Countries to exchange experiences. • Bilateral meetings for SUN Country delegations. Hosted by Gerda Verburg, SUN Movement Coordinator, this informal and interactive welcoming session will mark the official opening of the SUN Nutrition Hub. It will provide an opportunity to learn about the Scaling Up Nutrition (SUN) Movement and its country-led, multi-stakeholder, multi-sector approach to end malnutrition in all its forms, everywhere. It will also introduce the SUN Nutrition Hub week-long programme of events. High-level breakfast – Organised by the SUN Movement Secretariat and partners. Every country has a nutrition challenge. Today, different forms of malnutrition co-exist within the same country, community or individual. This breakfast will serve as a platform for country representatives to exchange challenges and good practices and their different experiences in addressing multiple forms of malnutrition in countries. This event will also encourage new ways of working – through partnerships and across sectors – in the spirit of the 2030 Agenda for Sustainable Development. Enhanced coordination between humanitarian and development sectors and actions is necessary if real gains are to be made and the burden of crises lessened globally. How are the commitments and guidance from the World Humanitarian Summit, the Grand Bargain, and the Guidance Note for Humanitarian Coordinators on nutrition in FCAS being implemented? What steps can be taken to better coordinate humanitarian and development sectors? This session will explore turning policy and guidance into action to better serve crisis affected populations through a lively discussion with a diverse panel. Linking gender equality and improved nutrition: What is not happening? Breastfeeding gives an infant the best possible start in life, wherever they live in the world. It provides critical nutrition and protection to help a child survive and thrive. Yet, many infants and children are missing out, as mothers often face politically and culturally-motivated barriers that hinder breastfeeding. 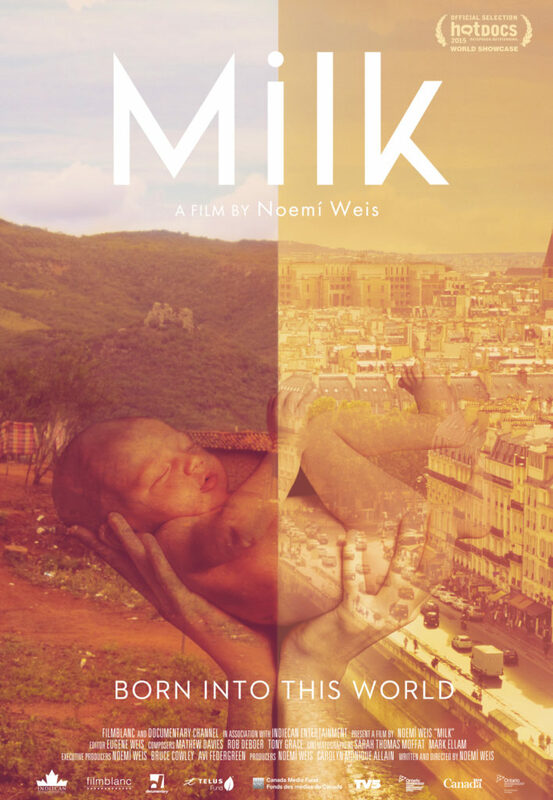 Join us for a screening of the documentary Milk, which looks at mothers’ experiences around the world, followed by a discussion on what we need to do to help mothers feed their babies, in safety and dignity. This breakfast discussion will explore how financing mechanisms, including innovative mechanisms like the Global Financing Facility (GFF) and Power of Nutrition, can fill funding gaps for nutrition. Discussants from the World Bank, the GFF, Ministers of Health and representatives from civil society, will explore how financing mechanisms can work together, how country governments can optimise funding sources for improved national nutrition outcomes, and how civil society can engage to ensure that nutrition is remains a priority. Featuring: Gerda Verburg, SUN Movement Coordinator (moderator); Sania Nishtar, Founder/President, Heartfile Foundation; Gunhild Stordalen, Founder/President EAT Foundation; Katie Dain, CEO, NCD Alliance; Alma Crumm Golden, Deputy Assistant Administrator, USAID; Francesco Branca, Director of the WHO Department of Nutrition for Health and Development and representatives from SUN Countries (TBC). Different forms of malnutrition – undernutrition, micronutrient deficiencies, overweight, obesity and noncommunicable diseases (NCDs) – now co-exist within the same country, community or individual. 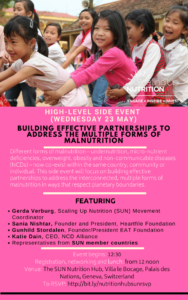 This interactive side event will focus on building effective partnerships to address the interconnected, multiple forms of malnutrition in ways that respect planetary boundaries. Come prepared to ask questions and interact with panellists and other participants. This session is aimed at fostering country-to-country dialogue and to share experiences on how to best facilitate the SUN annual Joint-Assessment, currently underway across the Movement. We will also look at the SUN MEAL (Monitoring, Evaluation, Accountability and Learning) system country dashboards and suggest ways to better make use of these whilst conducting the Joint-Assessment. This session will also give an overview of what technical assistance is available to SUN Countries, with concrete examples and information on how to access it. Please note, the event will be held in French. Organised by: UN Network for SUN (UNN)Featuring: Frances Mason, Save the Children (moderator), Lauren Landis, Director of Nutrition, WFP, Dr. Julio García Colindres, Vice Minister of Primary Healthcare, Guatemala, Hou Kroeun, Deputy Country Director, Helen Keller International, Amy Baker, Director General of Health and Nutrition, Global Issues and Development Branch, Global Affairs Canada. Adolescent girls are increasingly recognised as a key group for nutrition interventions –in their own right, and also as key actors in breaking the cycle of malnutrition. Despite this, large data gaps remain, hindering the global community in designing effective interventions to improve the nutrition of this key group. How can the global health and nutrition communities better reach and serve adolescent girls? This side-event, hosted by the UN Network for SUN, will aim to explore these questions and more, drawing on insights from research and the experiences of a diverse panel of experts. Malnutrition in all its forms continues to hamper the lives and opportunities of millions of people worldwide. National governments are increasingly recognising the importance of nutrition for development, and are taking responsibility for addressing nutrition challenges in their countries. However, while commitments to good policy and adequate resources have grown, capacities to deliver on those commitments and invest effectively have often not kept pace due to capacity challenges. What is currently done to assess/measure nutrition capacity? What are the current challenges/successes to strengthen nutrition capacity in a sustainable manner? This side event, hosted by the UN Network for SUN, will aim to explore these questions and more, drawing on insights and experiences of diverse stakeholders. Multi-stakeholder collaboration: How can we strengthen the enabling environment for business to take action in improving nutrition? Featuring: Lawrence Haddad, Executive Director, Global Alliance for Improved Nutrition (GAIN), Gerda Verburg, SUN Movement Coordinator, Professor Sandy Thomas, Director, Global Panel, Felix Phiri, SUN Focal Point, Malawi, Alison Cairns, Managing Director for the Food Reform for Sustainability and Health World Business Council for Sustainable Development. The panel discussion will explore how enabling environment actions can facilitate the engagement and coordination of private sector actors to invest in healthy food systems that can deliver affordable high-quality diets. Representatives from governments, the private sector, civil society and the donor community will share experiences and insights on strengthening the enabling environment for mobilising private sector contributions to transform global and national food systems to be healthy, nutritious and sustainable. This session is aimed at fostering country-to-country dialogue and to share experiences on how to best facilitate the SUN annual Joint-Assessment, currently underway across the Movement. We will also look at the SUN MEAL (Monitoring, Evaluation, Accountability and Learning) system country dashboards and suggest ways to better make use of these whilst conducting the Joint-Assessment. This session will also give an overview of what technical assistance is available to SUN Countries, with concrete examples and information on how to access it. Featuring: David Nabarro, Sustainable Development Facilitator, Gunhild Stordalen, Founder/President EAT Foundation, Peter Bakker, President, the World Business Council for Sustainable Development, Sean de Cleene, Head of Food System Initiative, World Economic Forum and Gerda Verburg, SUN Movement Coordinator. Most of us would share a vision for what should be described as a good food system. But we would probably not agree on how to work together to make it happen. We are more likely to act in synergy if we are able to appreciate and explore each other’s points of view. In this interactive event, David Nabarro will encourage a debate on how to encourage food system stakeholders together to align with the 2030 Agenda for Sustainable Development and make a lasting difference and share plans for a new series of Food Systems Dialogues.